The Victoria Village project is located in a privileged location, which every resident can relax and enjoy the convenience of internal and external utilities. Let us bring the information of this project for you! Victoria Village Apartment project is a complex of apartments, townhouses and modern villas built by Novaland Real Estate Corporation and developed in Thanh My Loi Urban Area. It is located in the heart of District 2. The project possesses the extremely favorable location, it is located at the intersection of 4 potential frontispieces of District 2, one of the urban areas of Ho Chi Minh City. In addition to the beautiful location, the Victoria Village Apartment has a very nice view overlooking the Saigon River and Thanh My Loi Park, which brings you and your family a green living space and the most modern space in Saigon as well. 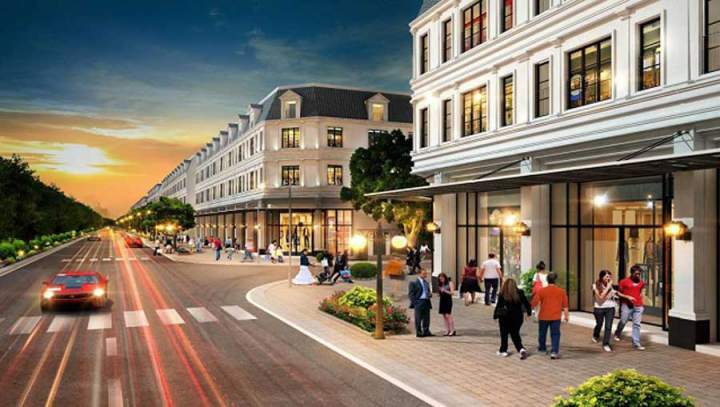 See more: Why Should We Choose Victoria Village Apartment Project To Live? Dong Van Cong Street: 60 meters in building the line. Truong Van Bang Street: 40 meters in building line. Nguyen Mong Tuan Street: 12 meters in building the line. Lam Quang Ky Street: 25 meters in building the line. All four roads are the “golden land”, the potential land of Thanh My Loi Ward in particular and District 2 in general. Located on these roads, it will bring many advantages for residents when living here both in transportation infrastructure and the utilities. Taking about 15 minutes to District 1 from your apartment moving along Mai Chi Tho Street – Thu Thiem Tunnel. 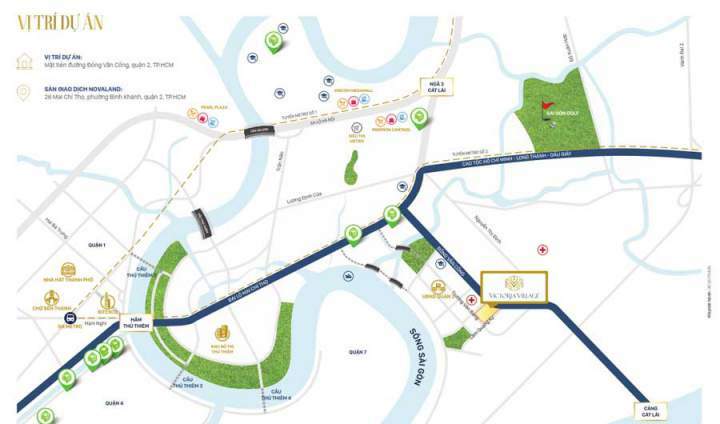 Taking only 10 minutes to move across Thu Thiem Bridge, you can arrive in Binh Thanh District. Taking about 15 minutes to get to District 4 via the Thu Thiem Bridge. Taking more than 15 minutes to go to District 7 via Phu My Bridge or Thu Thiem Bridge. Victoria Village Apartment project located in Thanh My Loi Street is now the focus of many investors thanks to the extremely beautiful land funds that were previously untapped. The traffic here has also become much more favorable. Container cars moving into Cat Lai Port via Dong Van Cong Street has changed to move from Vanh Dai 2 Street (Vo Chi Cong Street), which has helped Dong Van Cong Street become more open and easier to move. This will be the first development for Thanh My Loi. Besides, the high-end apartment projects in Thanh My Loi are being open for sales very loudly. Which main causes make many customers choose apartments in Thanh My Loi area? The main reason is from the information that the riverside road will connect with Mai Chi Tho Street, which will be implemented in July this year. With the formation of this route, it will bring many advantages for residents here. When going to Thanh My Loi you will no longer go on Dong Van Cong Street, you can go directly through the river from Mai Chi Tho instead. These will be important factors in making Thanh My Loi become the place for development. This area will have a lot of developing potentialities when located in the administrative center of District 2, besides that it is next to the Thu Thiem Urban Area and easy to connect with other districts such as District 1, District 4, District 7, District 9, Binh Thanh District. In recent years, the market of Thanh My Loi area has developed in a good direction, especially in the real estate field. 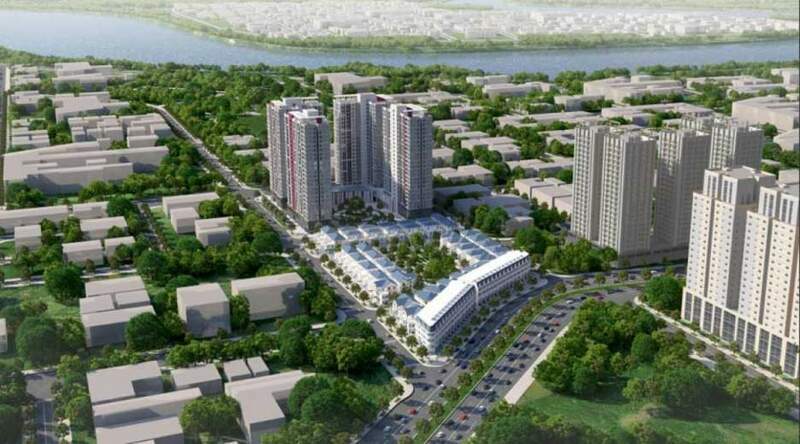 Bridge projects, high-end apartment projects are being developed in Thanh My Loi. However, there are some projects that are not finalized with the best quality, so before deciding to buy a home, just look carefully at the reputation and quality that the owner will bring you. It can be assured that the Victoria Village in District 2 of the Novaland Group will not disappoint you for settling permanently. The development of Thanh My Loi will be the foundation for the Victoria Village Apartment becoming more and more convenient for each resident. It is the point of interest of many people when the information that the riverside road will be connected from Thanh My Loi area to Mai Chi Tho Street is revealed. The price of the apartments in Thanh My Loi is still very attractive to many people with the price from $1.455/sqm to $2.273/sqm. With the Victoria Village apartment project price at about $1.640/sqm, this is the suitable price for many middle-income customers. The superiority of Victoria over many other apartments is its payment method and many attractive incentives.